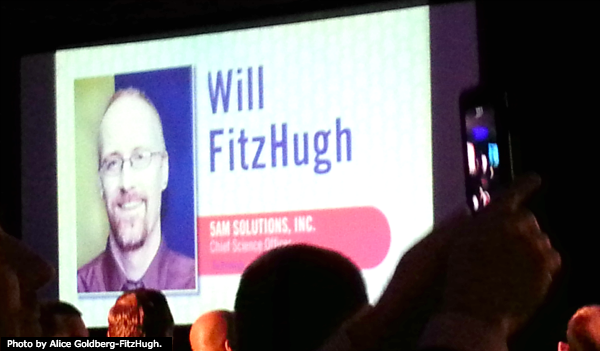 Last night, 5AM Solutions' Chief Science Officer Will FitzHugh was among the honorees at SmartCEO magazine's Washington Executive Management Awards. If you haven't worked with him directly, you might know Will from this blog. Most recently, he was the author of the Map of Biomedicine series (stay tuned for an upcoming ebook...) and he has also written about newborn screening and big data. Besides software expertise, Will brings a passion for science and design to work every day. 5AM designs and builds software for the life sciences and healthcare industries, and we pride ourselves on doing that in a way that is as focused on getting the science right as it is on getting the technology right. Will's passions and expertise led him to launch several knowledge sharing forums at 5AM. He heads up the Science Group which shares experiences across projects and explores scientific and medical topics in depth. The Journal Club walks through important recent papers to understand what our clients' real-world challenges are. The award-winning software executive is an avid music fan, and in contrast to his calm, diplomatic demeanor in the office, his favorite kind of music is punk rock. During the 1980s, the Washington, DC area was home to a cutting-edge music scene that helped to define punk rock. Will was and is a fan of DC-based bands like Fugazi and Bad Brains. The blunt, energetic music inspired him, and in his youth, he played in two underground bands: Closet Cannibals and the Visigoths. Punk's simplicity appealed to him early on, and he says that the genre's clear, straightforward approach informs his work today. He cranks up his electric guitar almost every day and is currently writing songs for a new project.